Rugby Realty’s CityView Corporate Center has traded in a $20 million sale orchestrated by Cushman & Wakefield’s Metropolitan Area Capital Markets Group. 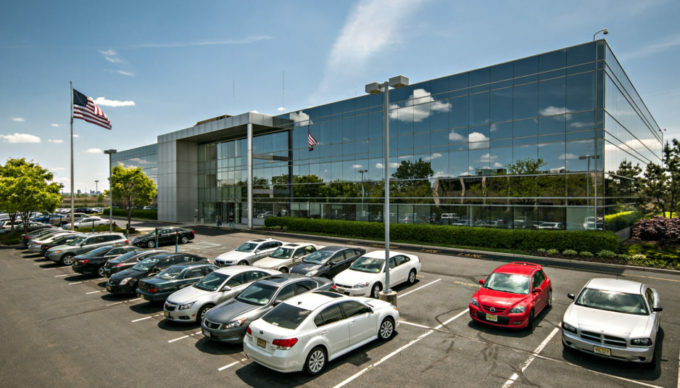 Alexander Property Holdings purchased the 135,000 s/f, Class A asset at 160 Chubb Ave in Lyndhurst, NJ, from Rugby Realty Co., which paid $10.3 million for the property in 2014. CityView’s position as a fully renovated, well-leased Meadowlands office property with limited rollover exposure drew significant investor interest, according to Cushman & Wakefield’s Gary Gabriel, who headed the transaction with Andrew Merin, David Bernhaut, Brian Whitmer and Ryan Larkin, along with office leasing specialist Curtis Foster. Located on eight acres with direct access to routes 17 and 3, CityView Corporate Center was constructed in 1979, and renovated in 2006 and 2012. Rugby Realty, purchased the three-story building in late 2013 and appointed Foster and Cushman & Wakefield’s Jerry Shifrin as exclusive leasing agents. Over the past two years the team brought the property to near full occupancy. “When Rugby acquired CityView Corporate Center, it was only 60 percent occupied, and as it so often has done with other properties, expediently brought it to near full occupancy and then returned it to the market in a financeable and core condition,” Gabriel noted.